From setup to cleanup, we hold ourselves to the "Precision Standard" of excellence. We are a team of service professionals that are dedicated to working with businesses, dealers, and facility management professionals to provide the most cost effective office furniture services. Our full-service office furniture installation team provides the services you need to keep your office space working efficiently. From office furniture installation and office furniture reconfiguration to touch ups and warehousing, we can handle it all! At Precision, we're proud to provide the services, equipment and personnel that fit our customer's time and budget needs. That's why in addition to working with companies directly, we also service architecture and design firms, government agencies, contract furniture dealers, moving & relocation companies, furniture manufacturers and hotel & hospitality professionals. We constantly strive for the professionalism and commitment that our customers have come to expect on all our projects. Read some of our testimonials to see why our customers love us just as much as we love them! 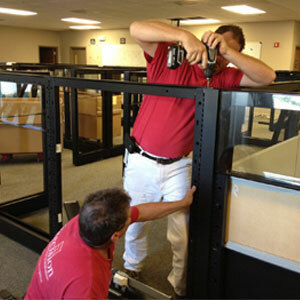 Accredited and professional installers will assemble your furniture to the manufacturer's exact specifications. 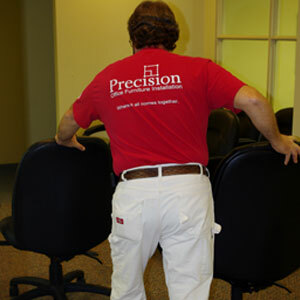 All of Precision's installers will arrive in uniform, on time and ready to complete your installation. 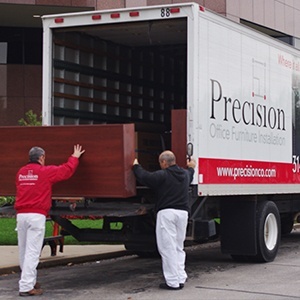 When you decide to move, Precision Office Furniture Installation's experienced & certified move management team will be on the job, with the correct equipment & personnel to complete your project on time & on budget. We know your workplace design must also adjust in light of employee turnover and on-boarding, evolving organizational strategies, and new workflow requirements. That's why we're ready to help you reconfigure your office into something new! Precision's experts work closely with your leadership teams to help you build and deploy an optimized, customized office space plan. 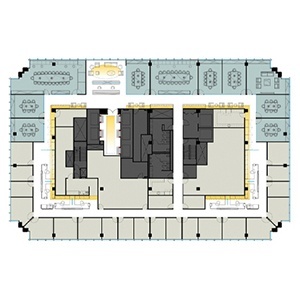 We take workflow, privacy, comfort, aesthetics and more into consideration!